Caving Tribe is the place to be for all those who are passionate about the adventure activity of exploring natural and underground spaces%2c while learning about history and art. A place for those who are looking at a chance to explore a unique world very different from the surface. 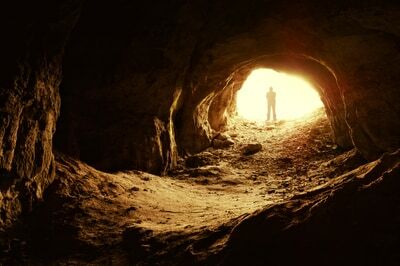 Caving is a somewhat quirky adventure activity that involves discovering cave systems – the more virgin (and the wilder! ), the better. It’s sometimes known as spelunking (in the USA) and potholing (in the UK and Ireland). It’s an often dark and murky world inside caves, with only rocks and mud for company, but it’s one that many thrill-seekers have made a universe of. Caving is usually done in groups, giving it a profile of a team activity/sport. Caving also has its extreme side. But at its simplest, it is like any outdoor activity, practiced for enjoyment, physical exercise or exploration. Many cavers today focus on finding new caves, having already exhausted the possibilities of existing ones. And for more than a few, interest in caving goes beyond the buzz of discovery – their motivations take in scientific study as well as photography and conservation. Édouard-Alfred Martel is the chap to whom credit can be given for the provenance of caving. Using ropes and ladders, this adventurous Frenchman completed the descent of caves in Lot, southwest France, and Yorkshire, England, at the end of the 19th century. With the French at the forefront, the popularity of caving started to grow in the 1930s; it was seen both as a recreational as well as a scientific activity. Much of the equipment that is associated with the activity can be traced to the 1940s, a decade when a group of French caving teams were active in exploration. There were also caving enthusiasts on the other side of the Atlantic. Bill Cuddington (“Vertical Bill”) pioneered the single-rope technique (SRT) in the late 1950s (for bypassing vertical obstacles). Around the same time, a couple of Swiss gentlemen, Juesi and Marti, developed the “Jumar”, the first ever rope ascender. Since then, further advances in caving technology and technique have led to cave exploration becoming a safer and (consequently) more popular pursuit. Despite the preponderance of caves in India – many of them undiscovered – the sport of caving has still to take roots here. However, the northeastern state of Meghalaya, home to some of the longest and deepest caves in India, offers the best caving potential in the country – it has been described among the top 10 caving destinations in the world. The Jaintia hills are home to the Krem Kotsati-Umlawan cave, at 21km (approx.) the longest such in mainland Asia. The Shnong Rim section in the Jaintia Hills, in particular, is a caver’s paradise (to navigate these grottos, you would have to wade through waist-deep water, or even swim – so come well prepared!). 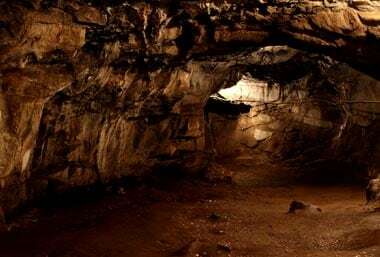 With Meghalaya dotted with caves (well upwards of a 1000 – totalling over 350km in length – a fair number of them inaccessible, and still lying unexplored), it is a magnet for cavers, and caving has become a popular adventure hobby in this corner of India. The Meghalaya Adventurers Association is the best contact for those interested in indulging in a spot of cave-tripping and cave exploration. 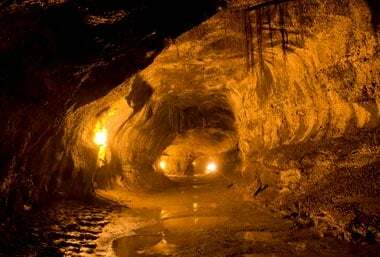 (Less well known are the caves of Mizoram, also in the Northeast). The winter months, from November to March – this is the time when water levels in the caves of Meghalaya are at their lowest. As long as one isn’t attempting any overtly difficult ascents or descents, caving does not have to be a dangerous activity. It can be quite low-risk, in fact. But the rough surfaces and trails, along with pits and low ceilings, mean that you’ll often be required to crawl and wriggle. The main risks attached to caving include hypothermia, dehydration, physical fatigue, flooding, tripping and falling, threat of falling rocks, and also getting lost (more common in long cave systems). When going caving, always bring a first-aid kit, along with emergency gear and food supplies. Although caving is far from a strenuous activity, you do require a certain level of stamina (and your wits about you) to negotiate the vertical and horizontal passageways. To avoid dehydration and hypothermia, make sure you bring enough water and food provisions with you, along with extra layers of clothing. The environment within caves and cave systems is very delicate. The slightest touch of the hand, or the softest tread of feet, can destroy features and formations inside the cave that have been existent for thousands of years. And increased carbon dioxide levels – the result of cavers breathing – can irretrievably damage the cave interiors. Because of the unique micro-climate in caves, there are species and organisms found here that are not found in any other ecosystem; the smallest change in the climate can lead to a major imbalance in the life-cycles of these species. Do not litter or deface the surfaces of the cave, and carry back any human and biodegradable waste with you.